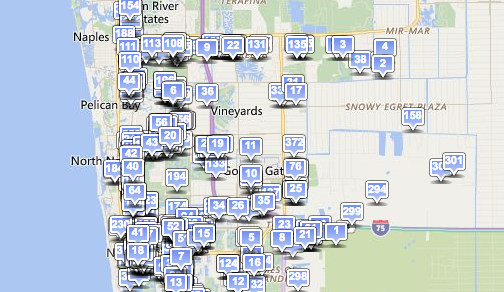 Search available Southwest Florida properties here. To see areas zoned for industrial, commercial and planned unit developments, see this map. A printable version is here. Our economic partner, Collier County's Office of Business & Economic Development, offers additional maps, an impact fee calculator, and other valuable data analytics tools on their site.